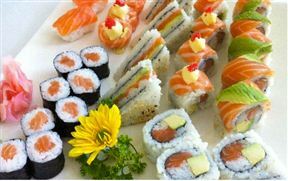 Leaf Sushi, located along Hospital Street is a grand dining experience set over 3 dining choices. 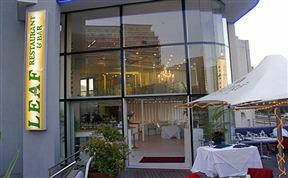 If you enjoy the fresh openness and lovely views of alfresco dining, savour a cocktail on the terrace scattered with tables and chairs, and a handy rain cover for less perfect weather. Downstairs sees sushi in the making as the sushi bar hosts an orchestral performance in perfect view of diners paired with relaxed music. For a grand dining experience dine upstairs enjoyed by pleasant views and delightful morsels of sushi for a more secluded experience. Whether you seek a relaxed evening, or a night of mystery and magic, Leaf Sushi seduces with lovely views and exotic Asian cuisine. Leaf Sushi is 1.3km from the centre of Cape Town , the nearest airport 20.5km (Cape Town International Airport).